Statistics or the Janitor Plugin, can already go fast and easy around many issues but a visual debug feels more friendly and one can have multiple parameters descriminated and see what is changing. Sometimes you want an automated fix, sometimes you want an informed one. Anyway, many of the propositions here would be good additions to the Statistics Panel. 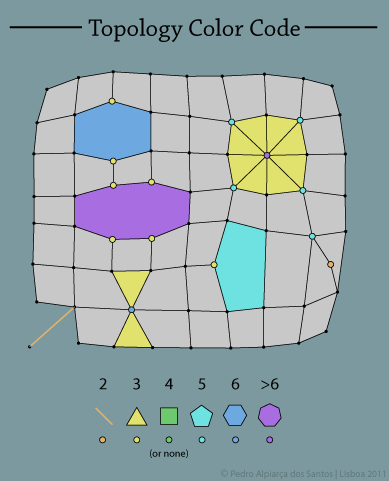 C) Vertices that are the only thing one or more polygons share. Or vertices where outer edges do not make a loop. D) Polygons with Area = 0. 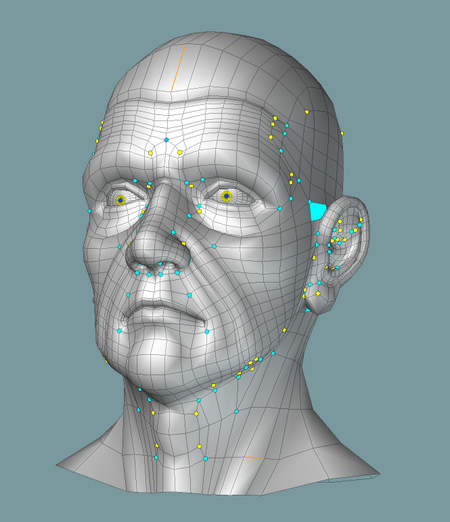 2:Modeling Debug View To evaluate the shape itself, topology, polyflow, UVmap etc. A) Topology color code according to the valence. For Polygons and for Inner Vertices. Good to spot Topology Elements, Subidivion Artifacts, Polyflow cleanup. 3 and 5 are very useful. 6 and >6 might be a stretch but Statistics’s >4 is useless sometimes. In triangulated meshes, 6 edge vertices are common. C) Shaders, to make a better analysis of the shaping. – Ambient Occlusion, lightning preview. – Curvatures like DP_Curvatures to evaluate the flatness, the concavity and convexity of the mesh. It will reveal stretches, pinches, and tensions.